Houston-native Helen Sung‘s journey on the piano began in traditional fashion. The daughter of Chinese immigrants, Helen Sung’s music education started with the rigor that one would expect from musicians brought up in the classical music milieu. She had a strict mentor whose teaching style was rooted in the Russian tradition. But all that would change because of a concert one fateful night in Austin, leading Sung into an unexpected career as a highly regarded jazz pianist. 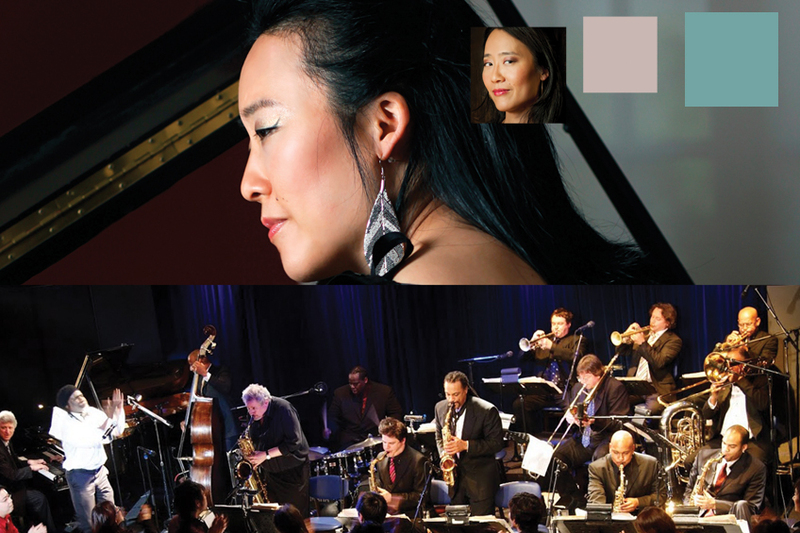 Helen Sung returns to Houston on Saturday, March 24, to perform with the Mingus Big Band as part of Da Camera’s Jazz Series. Ahead of the performance, we chatted with the jazz virtuoso about musical accidents, composition and good Tex-Mex. Q: You were a classical pianist for several years before changing your focus to jazz. What was it that inspired this passion for jazz, and what do you love about the music today? I fell in love with this amazing art form that demands utter honesty, challenging me to see if I really had something to say. I believe we all do, but it takes courage and daring to find and own whatever it might be. Jazz is also a music of great generosity, freedom, and community, which I deeply appreciate. Q: What’s your favorite part of performing with Mingus Big Band? A: I love the breadth of Mingus’ compositional style, the diverse influences that are absorbed seamlessly into and transformed in his music, the incredibly beautiful melodies, the strong, distinctive grooves and rhythmic energy, the many cadenzas he builds into his works—all of which challenge me and make me grow! Q: What is it about the piano that inspires you? A: Someone once whimsically said the entire universe is encompassed within the piano’s 88 keys—I can understand what they meant! The piano is technically a percussion instrument, yet it can be incredibly melodic and lyrical, and also richly harmonic. It is a truly complete instrument. When I was young, I remember thinking that music was something I would never get to the bottom of—there is always another surprise around the corner. This is also true of the piano! Q: You wear a lot of hats: performer, educator, composer—which is most rewarding for you? A: I love performing and writing music the most because they are creativity and imagination in action. Q: What advice do you give young musicians? A: Something I’ve learned is the importance of protecting one’s art, which I believe is closely bound up with how one lives life. The jazz masters I studied with all encouraged us to fully engage with life, because the content of our art flows from that. So the choices I make, the motivations of why I do what I do, my priorities, etc., are all important and end up influencing the paths I take. Q: What does it mean to you to perform in Houston? A: It is always a special treat to play H-Town! My parents and many friends still live here and it is always a special blessing to share something I love with people I love. It’s also a nice break from the East Coast in terms of parking/super-nice freeways, having more space to move around in, eating good Tex-Mex, and milder weather during winter, which in NYC continues well into March, at times April even! Da Camera presents the Mingus Big Band on Saturday, March 24 at 8 pm at the University of Houston’s Cullen Performance Hall. Tickets start at $37.50 and can be purchased online or by calling 713-524-5050.